10018390 COFFEE PERK UP LINEN WALL ART by Accent Plus home decor, jewelry, decor, decorations, electronics, fountains, floor mats, art glass, vases, garden essentials, fireplace screens. Coffee lovers will love this fun wall art. The linen scroll is set between two wooden dowels and a simple rope on top to hang. 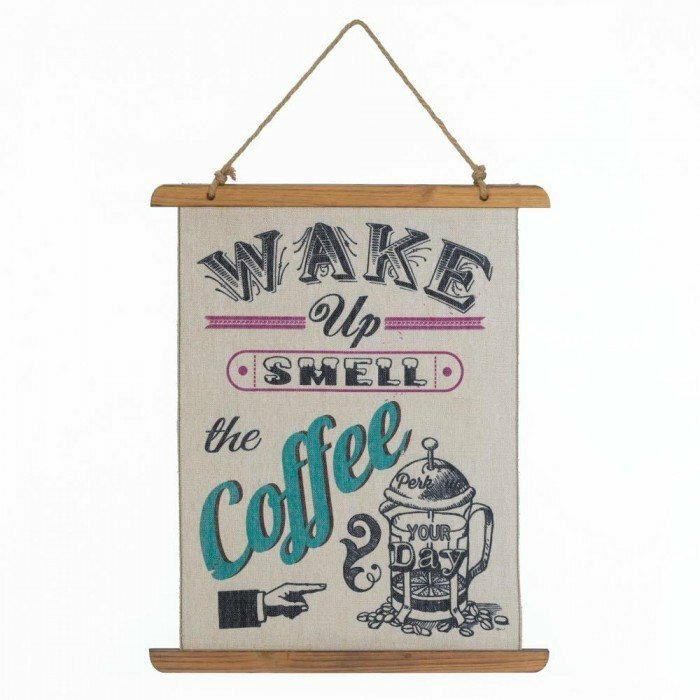 The design reads, "Wake up smell the coffee." Material(s): LINEN FABRIC ROPE WOOD - FIR. Weight 0.6 pounds. Dimensions	17.8" x 0.75" x 21.8".